McDonalds is the latest company to be at the end of a social media frenzy. This one after an employee posted a picture of a frozen McRib that obviously looks disgusting. 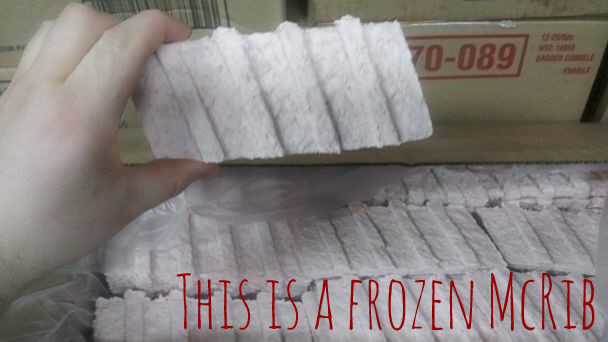 The McRib is processed, then formed in the shape of ribs and if you can imagine, it doesn’t look too good when it’s frozen. When people get the McRib, it has a better look to it considering it’s not as hard as a rock and is smothered in BBQ sauce. Anyway, here is the picture, what do you think?